I received your letter a couple of weeks ago, but have been busy and didn’t notice how long it had been. Cattle are pretty thin and have to be watched mightily closely to see that they get to feed and don’t stray too far. The loss has been very light, think I’ve only lost about 10 so far and if the weather will just partly behave from now on there should not be much more loss but most everything is thin now, even the range horses are weak so of course the cattle are bound to be thin. I was in town last week and got the Heckler papers straightened out and ordered the abstracts. I expect that I’ll buy that land this spring, as he is going to leave and I can’t afford for anyone else to get the place. There are several places around me that are going to be for sale as soon as they are “proved up” and they are sure making me figure. Don’t want to buy anything that I can get a lease on. Yes, I’ve been getting a novel every once in a while, and am ashamed ashamed that I’ve never even acknowledged the receipt of them but I always write in a hurry so forget about them. The Four Horsemen didn’t come but the W______ did come about that time. I’ve started to read it but have not finished it yet. Have not had much time for reading in the past month. Do you expect to visit Oklahoma this summer? It is probable that at some yet uncertain date I’ll go down there to get me a housekeeper. There is no definite date yet other than before summer, for it is doubtful yet when I can get away. But if it is convenient and can be figured out far enough in advance I’d like for you to be there. 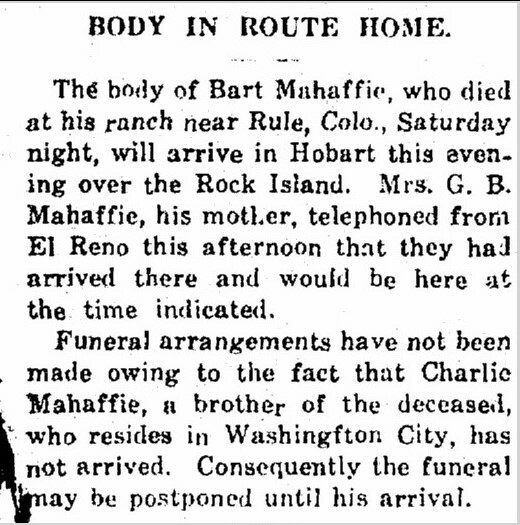 George Barton “Bart” Mahaffie, by 1919 having lived almost five years alone on his remote southeast Colorado homestead, was joking in this letter to his brother, that he wanted to “get me a housekeeper.” He meant he wanted to marry his sweetheart, Marye Traylor, and he wanted Charles to be there. 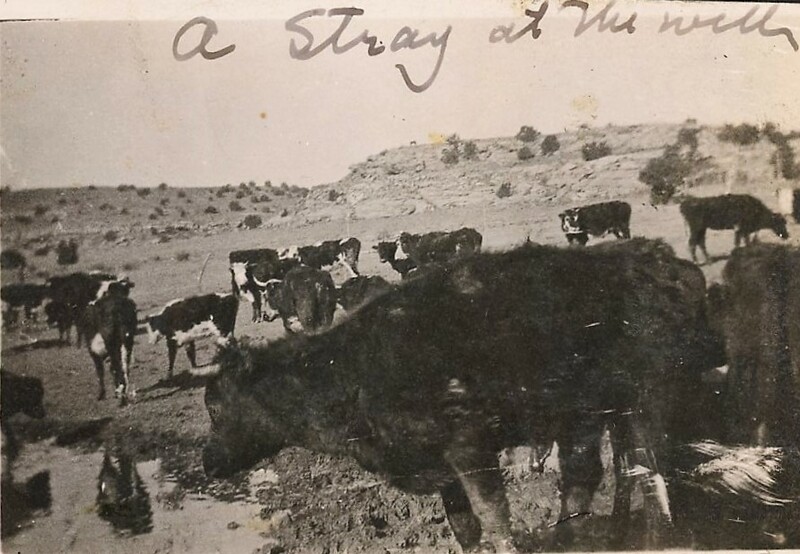 Bart had lived alone almost 5 years on 480 acres of rough, dry, grazing land in southeastern Colorado, a bachelor rancher. When I was six or seven, I remember my Great Uncle Oscar Beatty Mahaffie visited my grandparents at their Washington, DC home. It was the mid-1960s. Uncle Beatty and my grandfather, Charles, sat in the upstairs front room in large armchairs, Beatty about ten feet away from my Granddad, two grey, balding old men. 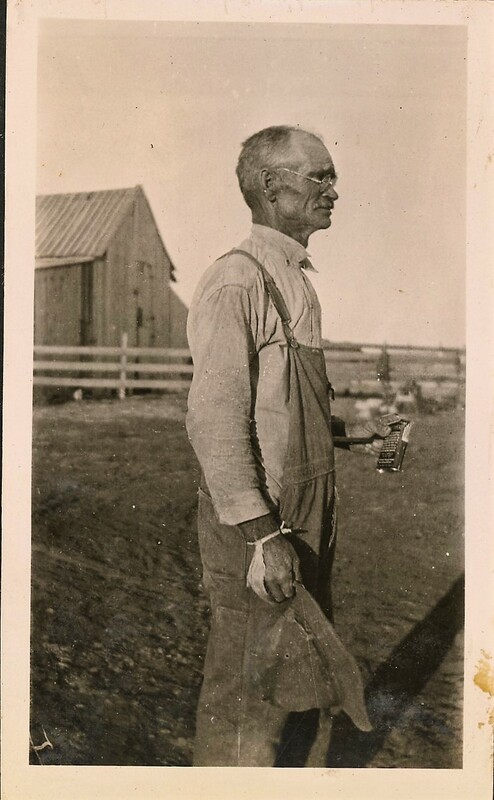 They were “visiting,” which for old men like these, prairie-raised, meant sitting almost silent, sipping liquor, and immensely enjoying each other’s company. But there was a brother missing, George Barton “Bart” Mahaffie. It’s hard to imagine him there. 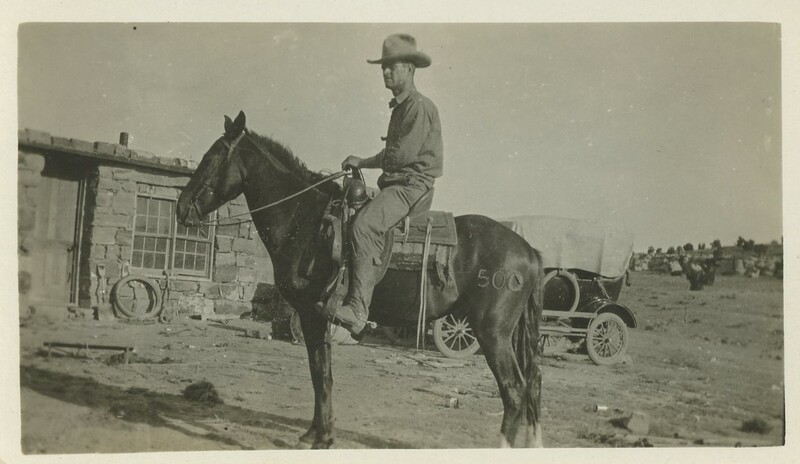 He died of the Spanish Influenza in 1919 at 29, young and in his prime, on his remote Colorado ranch. 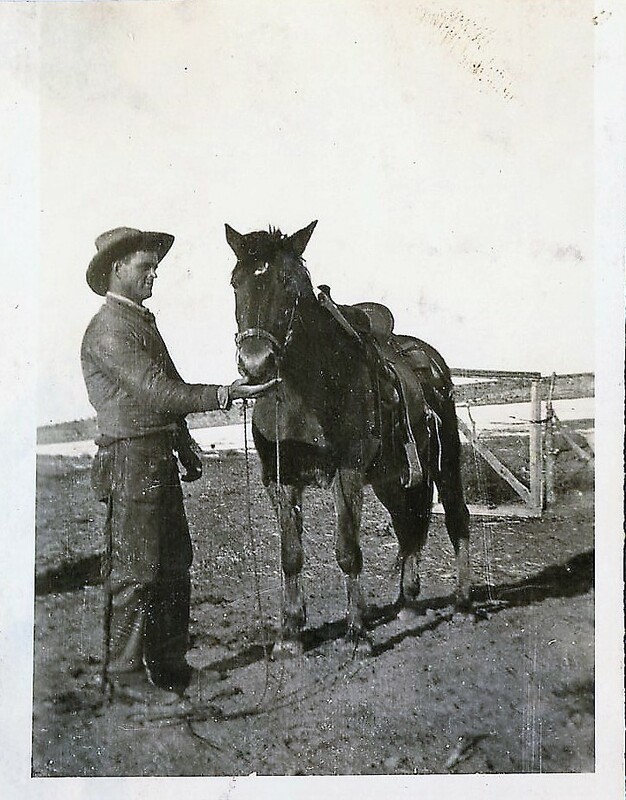 The old pictures show the young Bart as an athlete, uniformed and with his teammates, as a scholar at Kingfisher College, and later, branding cattle or on horseback, on his Colorado ranch. Bart died with most of his potential ahead of him. He endures for me as a tragic story. Yet I have fixed him in my mind as that young man from the old pictures, in his prime. The occasion of the 100th anniversary of the Spanish Influenza of 1918 made me think of Bart. I wanted to remember more than the tragedy, so I will tell the story of his life as far as we can know it. 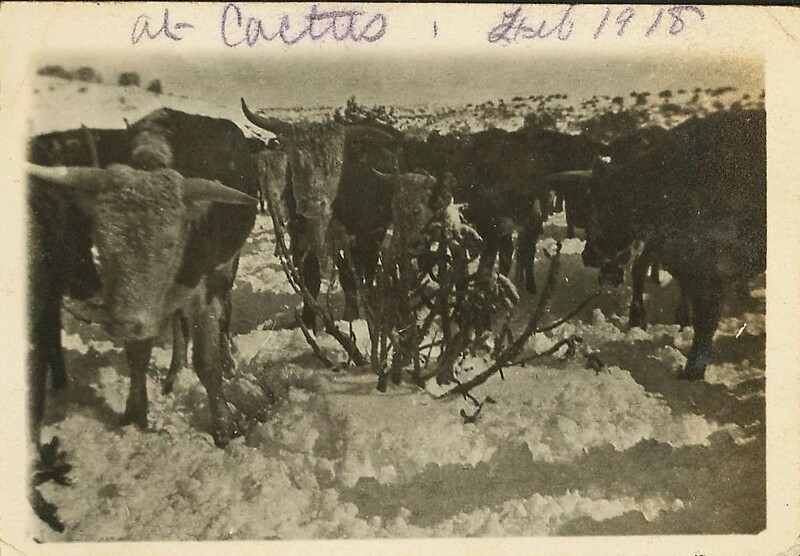 In the late winter of 1919, Bart Mahaffie, aged 29, was hard at work on his ranch in rural southeast Colorado. Winters there were hard. He was at work “proving up” his homestead claims. 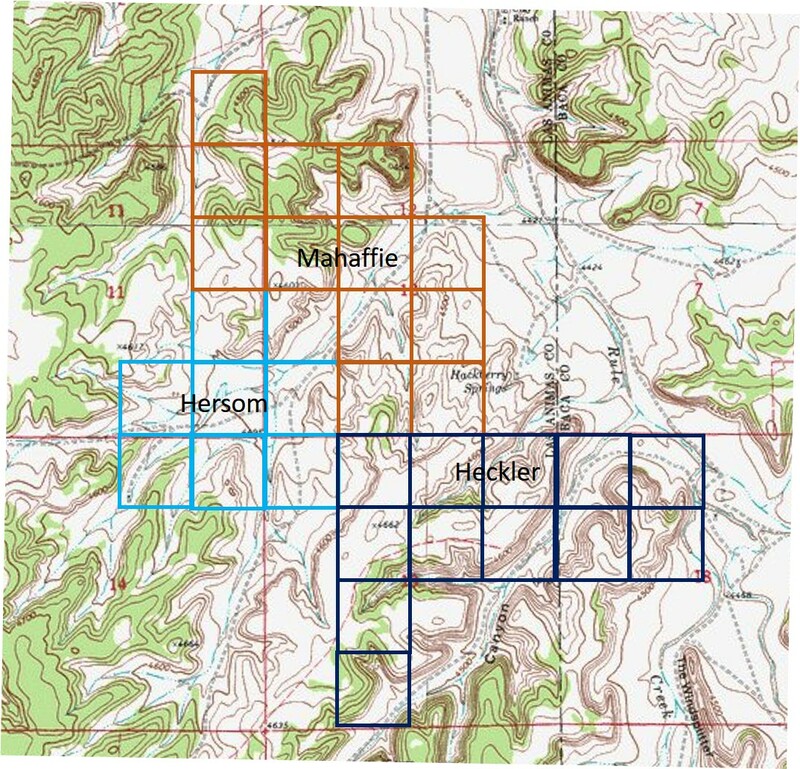 That meant gaining title to free Federal land by living on it and improving it for stockraising and agriculture. 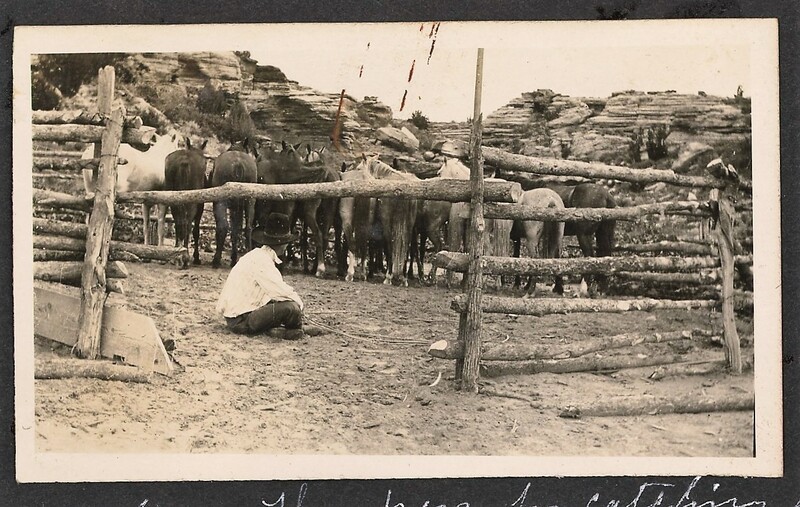 Bart planned to marry Marye Traylor of Elk City, Oklahoma that May and bring her to his ranch. 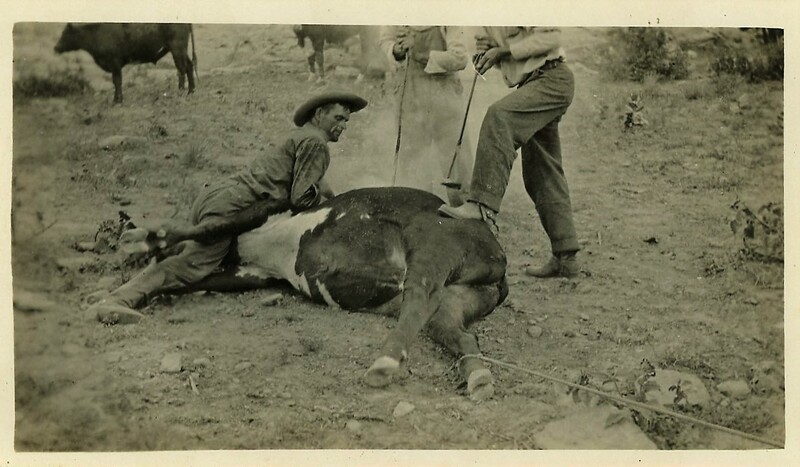 The lonely bachelor’s life on the ranch would soon be over. He would have a partner to help him build his life in Colorado. 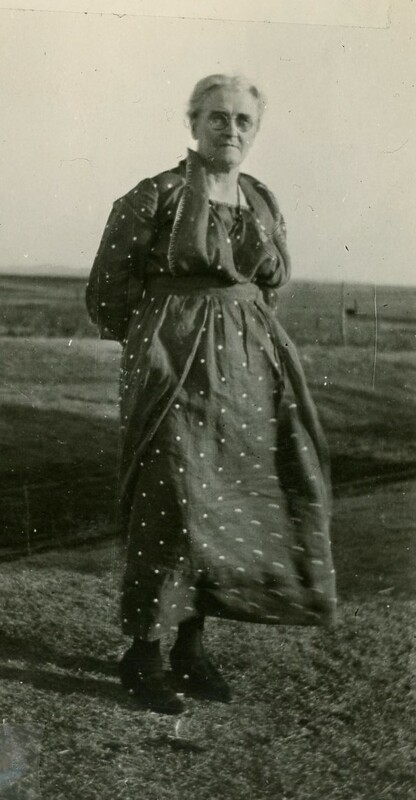 Marye was the daughter of W. E. Traylor. 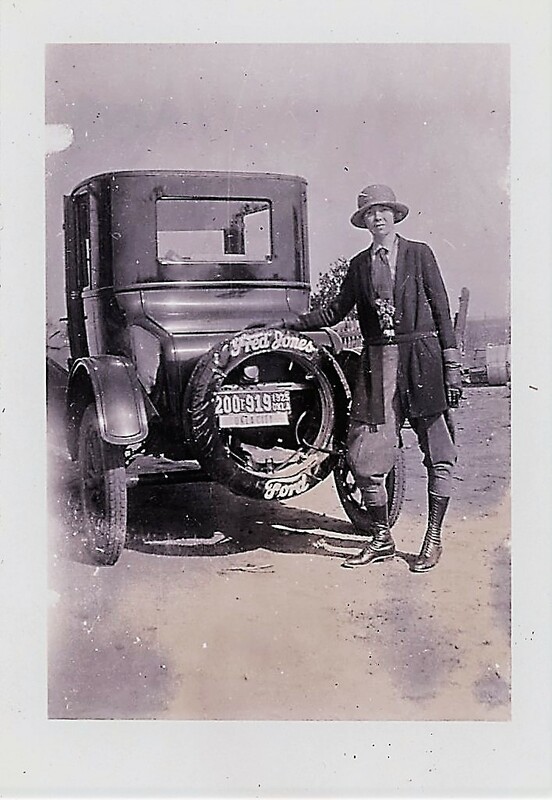 Her father had operated a Hobart, Oklahoma grocery in the mid-1910s. Marye, born in 1892, she was three years younger than Bart, but likely knew him from Hobart High School, or social events in town. Marye was an accomplished young woman. She played basketball at Hobart High School. The Hobart papers noted her piano playing at weddings, performing Mendelssohn’s Wedding March for the bride and groom. Later she had a long career in business, working as a book bookkeeper and office manager. It’s not hard to imagine her being integral to Bart’s success as a rancher. Despite the hard winter, Bart could look forward and see his dreams coming into view. The Spanish Influenza hit hard in the U.S. the fall of 1918, particularly among massed and returning troops from World War I. Emerging in 1917, it was at first a mild flu; three days of fever, cough, and runny nose, and then a rapid recovery. 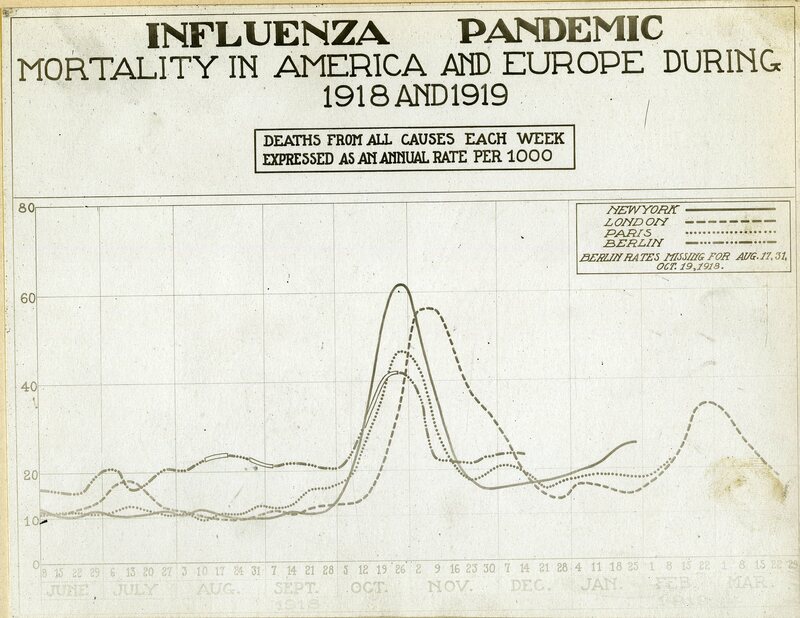 But the flu virus, which mutates quickly, turned deadly in the summer and fall of 1918. It became a global, deadly pandemic, killing 20 to 50 million people, worldwide, and 675,000 in the United States. The biggest share of its victims were young adults. The lucky got the infection early, before it mutated. They were then protected against the new strain. The Spanish Flu’s symptoms were fever, nausea, aches, and diarrhea. Many victims developed severe bronchopneumonia. Patients would have dark spots on their cheeks. The body under attack by the virus overran with immune response, attacking most aggressively in the lungs. Victims turned blue with a lack of oxygen as their lungs filled with a frothy, bloody discharge. They drowned in their own fluids before treatment could save them. The flu spread easily and quickly. Doctors could not keep up. People often died before they could get help, but medical help was limited in any case. The flu had no direct treatment, with no antiviral medicines were yet developed. Doctors were not even clear that the disease was viral. The first cases in Colorado came in late September 1918, with a spike in infections at the University of Colorado in Boulder. The most deaths worldwide were that fall as well. George Barton “Bart” Mahaffie was the second son and third child of George B. “Doc” Mahaffie and Mary Frances “Mollie” Williams Mahaffie. He was born October 3, 1889, in Olathe, Kansas. His parents were farmers. They also operated a store in Olathe. 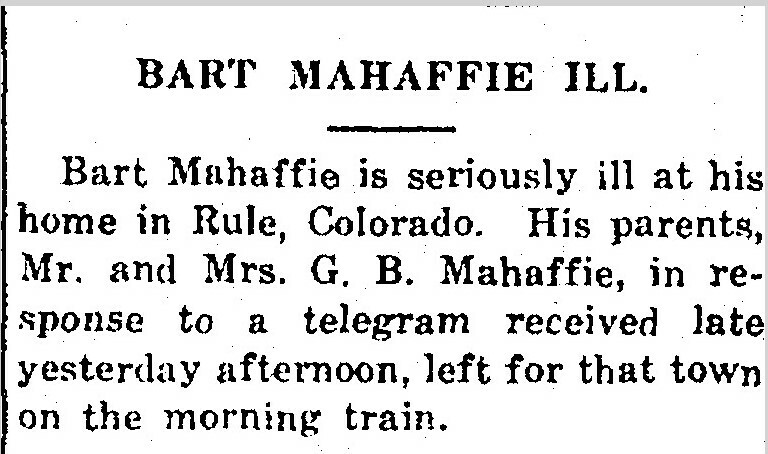 The Mahaffie’s were a pioneering family. 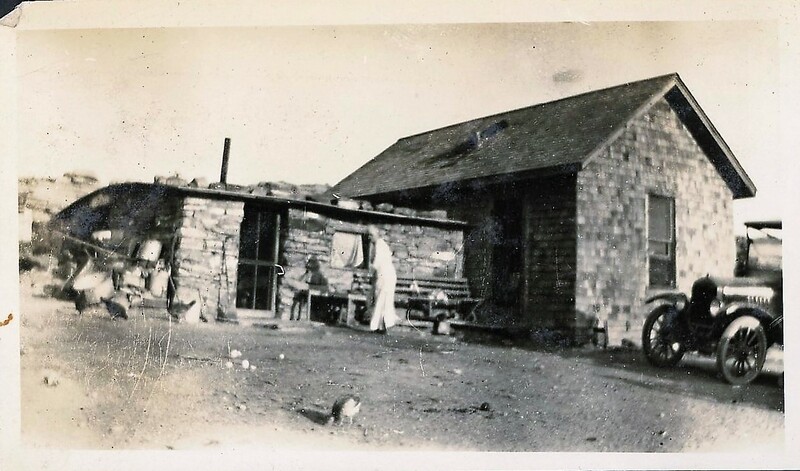 Bart’s grandfather, James Beatty Mahaffie, and grandmother, Lucinda Henderson Mahaffie homesteaded in Olathe, west of Kansas City, and kept a stagecoach stop there at the eastern end of the Santa Fe Trail from 1858 to 1870. 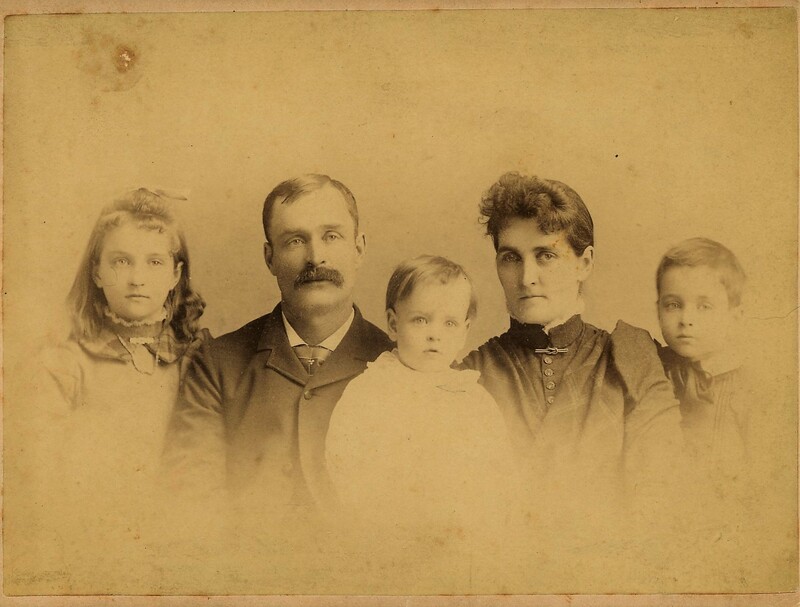 Doc and Mollie moved their family when Bart was three to a new homestead in Oklahoma Territory, joining the 1893 Cherokee Strip Land Run which opened Oklahoma lands taken from Native Americans to homesteaders. 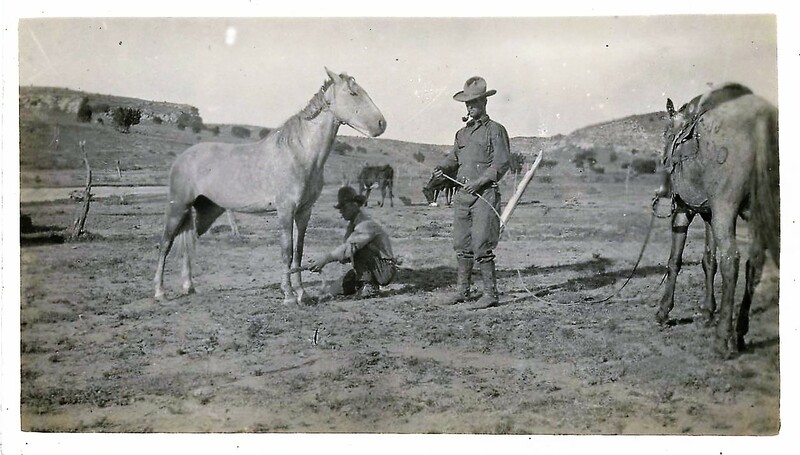 During the Land Run, Doc galloped ahead on horseback with his brother Billy to try to secure the best land. 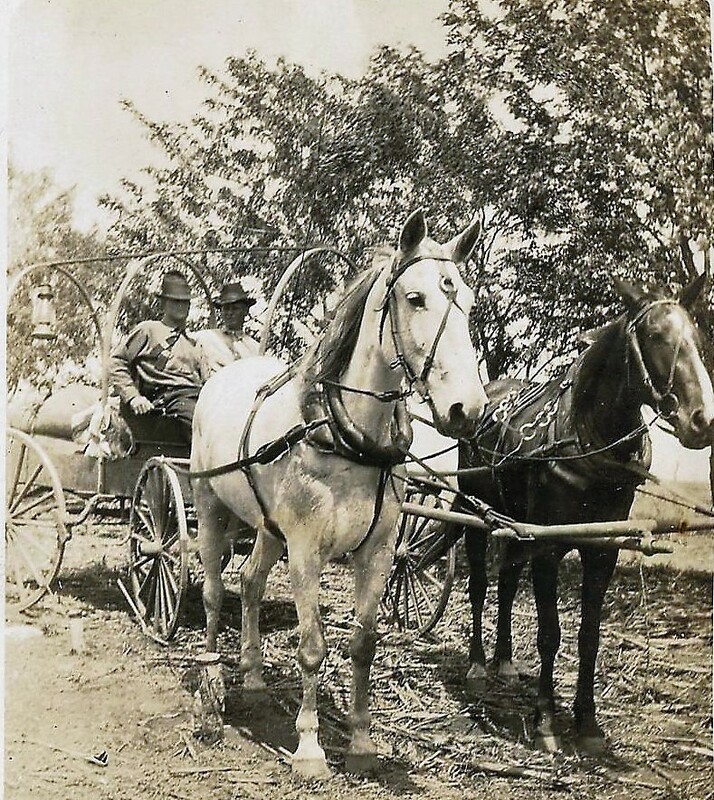 Molly drove the team pulling a covered wagon, her three children, Rose, Charles, and Bart, and a household’s supplies aboard. 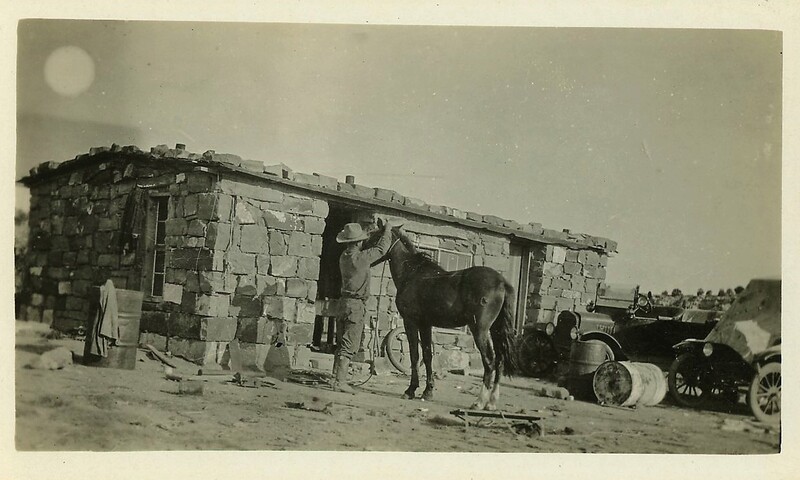 They settled in Kingfisher, Oklahoma Territory. 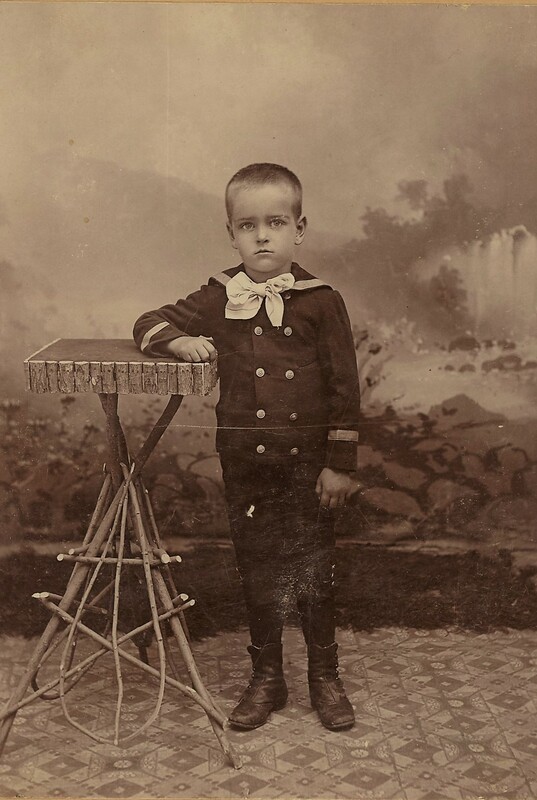 Another child, Oscar Beatty Mahaffie was born there. In 1901, when Bart was 11 or 12, the family moved further west to Komalty in Kiowa County, near Hobart, in west-central Oklahoma Territory. Hobart then was newly settled, with only a few businesses. 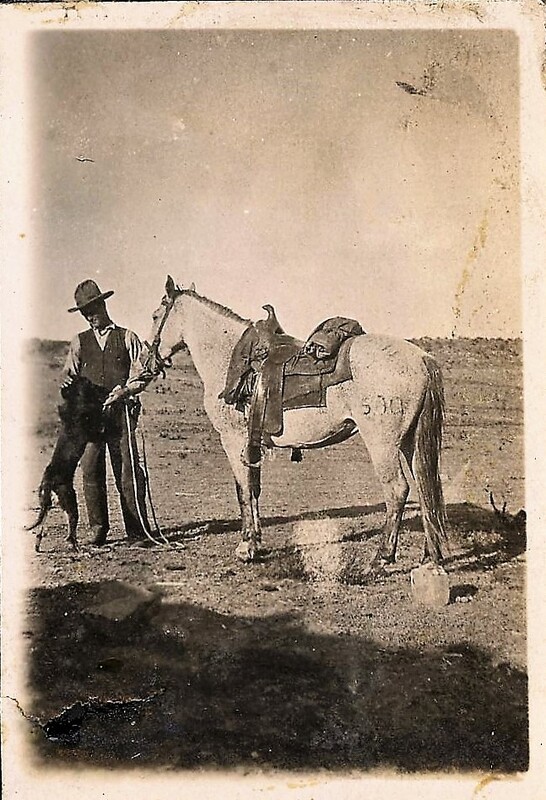 There Doc raised wheat and livestock, becoming a prosperous rancher trading cattle and mules as far as Amarillo and Wichita. Mollie ran a busy household and established herself as a community leader, prominent in Hobart’s civic affairs and social clubs. 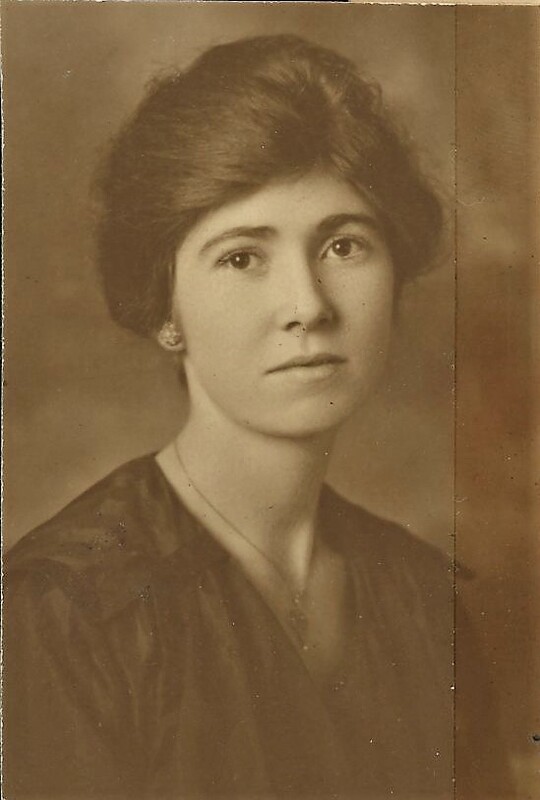 She was elected to the Hobart School Board, its first woman member, and served as School Board President from 1916 to 1919. Before she married, she had taught school for nine years, starting at the age of 16, studying at a teacher’s college, called a normal school, in the summers. That focus on education was surely behind her daughter, Rose, being a school teacher and the fact that all four of her children attended college, two completing advanced degrees. 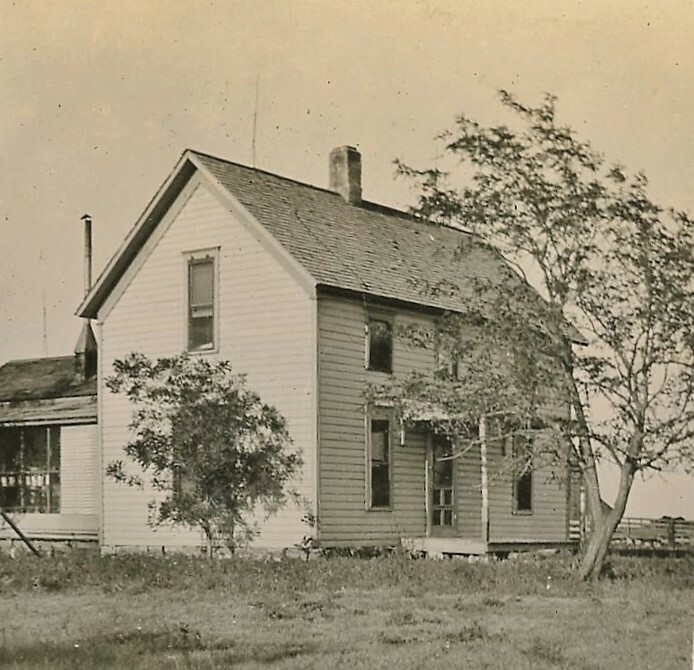 A little more about Hobart, the Komalty homestead, and Bart’s family is here. 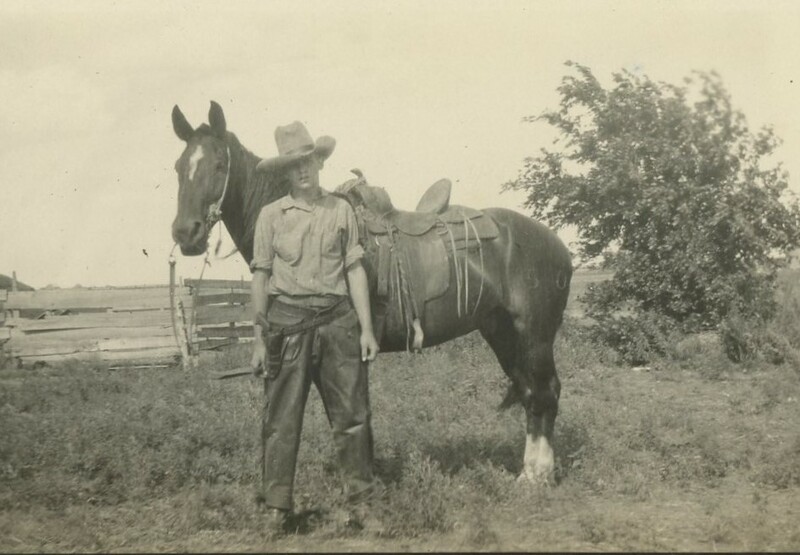 As Bart grew he learned ranching under his father’s tutelage and he got a good schooling under his mother’s direction. He grew to be a popular young member of the community. Bart graduated from Hobart High School on Friday, May 18, 1906. The ceremony took place at the Presbyterian Church. There were a total of six graduates, most of whom spoke or performed at the ceremony. Bart’s part was to make a speech on the “Flight of the Bat”. 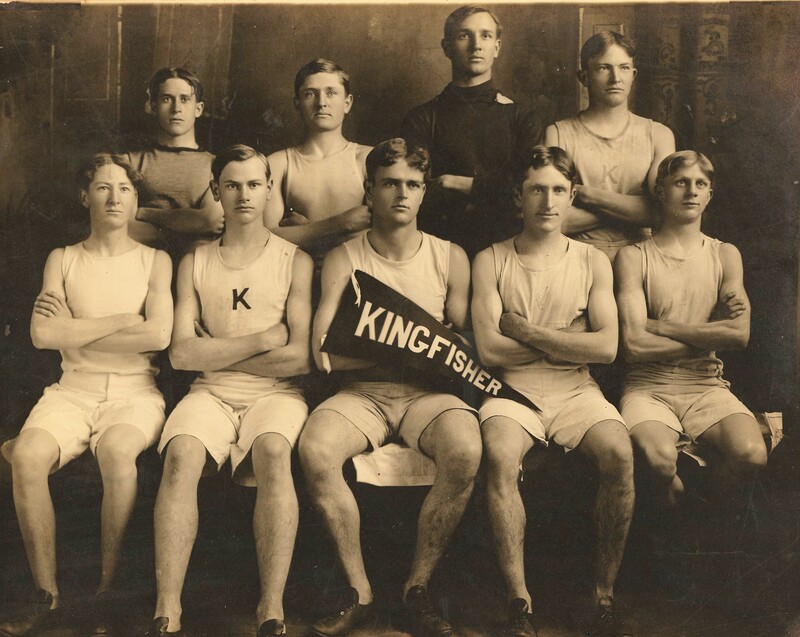 In the fall of 1906, Bart started at Kingfisher College where his older brother Charles had graduated in 1905. 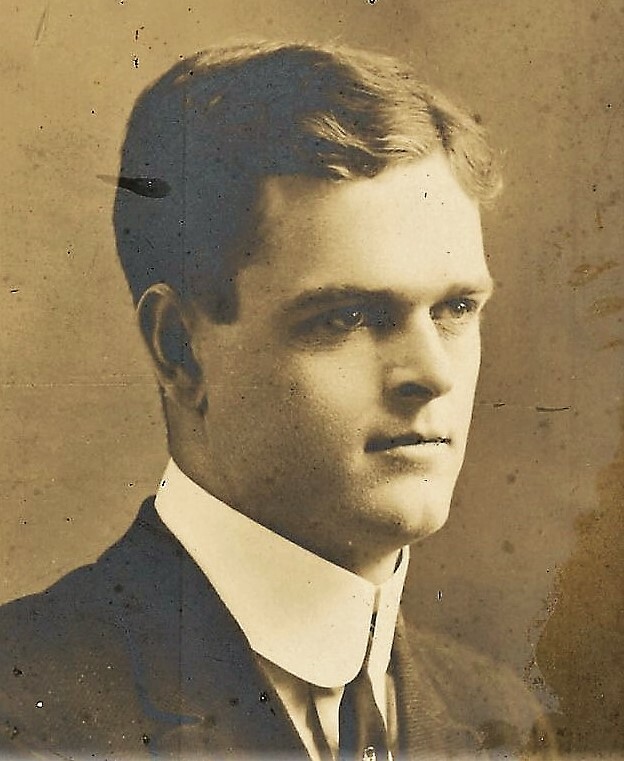 Over four years, he studied and played sports at Kingfisher, graduating with a bachelor’s degree in June 1910. That fall, Bart began studying law at the University of Oklahoma in Norman. He was enrolled for two years, but did not take a degree. While studying in Norman, he joined Sigma Alpha Epsilon fraternity and played on the Sooners football team. After college Bart tried his hand at various jobs. In 1911, he was in Hobart, working for a real estate firm. By 1912, he had gone to work in Dallas for U.S. Bond & Mortgage Co. 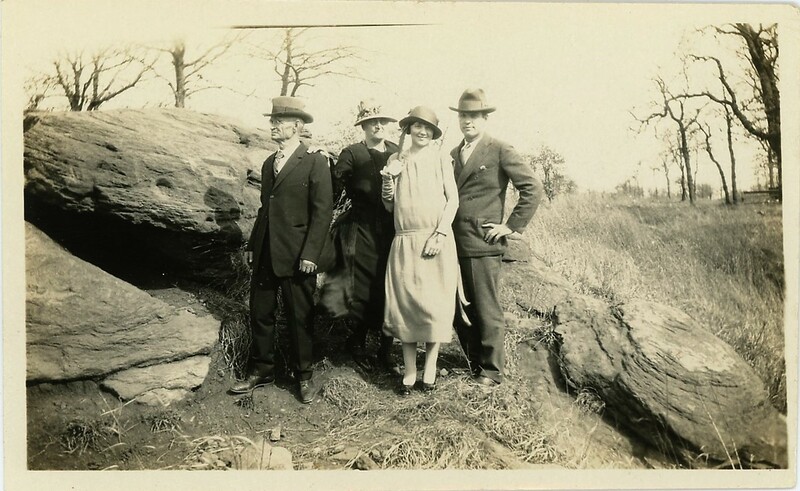 He visited Hobart late that summer on his way to Oklahoma City, where he was being transferred by his company. Bart continued to work in Oklahoma City until at least April 1914. Likely it was that summer when he left for Colorado to homestead. Bart came at last to see a path for himself: to be a stock man like his father, but his own boss with his own ranch. American generations tended, in the 1800s, to move a state or more westward as each rose to adulthood. Westward meant land and it meant opportunity, a chance to make one’s own way. Families were large and the home place would only be more crowded, less able to support another adult and family. 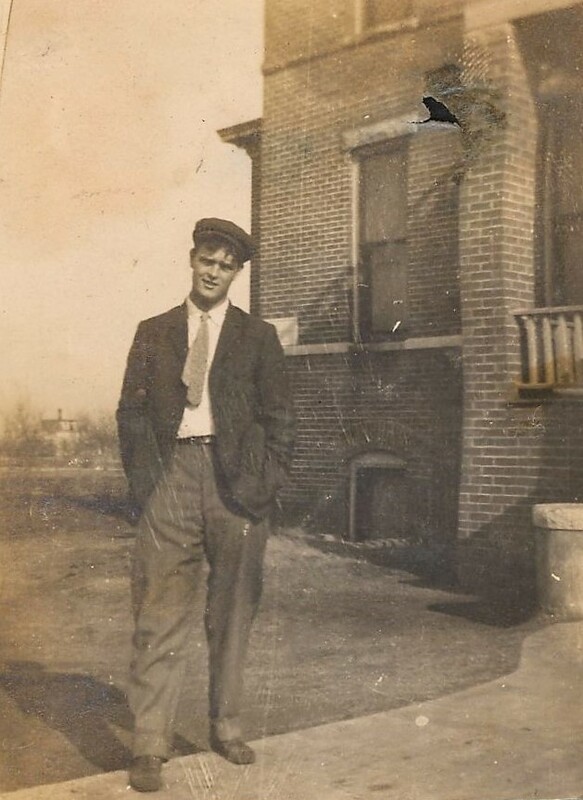 The Mahaffie’s followed that path through their American generations; Bart Mahaffie’s great great grandfather crossing from Northern Ireland to Pennsylvania, his great grandfather from Pennsylvania to Ohio and then Indiana, his grandfather from Indiana to Kansas. Bart’s father, Doc, moved from Kansas to Oklahoma for new land. And now Bart was moving another state west for his own chance. There was still land to be had, further west. The papers regularly wrote about Colorado, touting the opportunity to claim land and the state’s beauty and healthful climate. Colorado beckoned. The Western Maryland countryside is a pretty scape of rolling hills and farms. Annie Kelly has a big farm there with silos and lots of out-buildings. She lives in a house, sturdy but unimproved, that dates to about 1890. Driving up, you don’t know what to expect. The Valley Craft Network Studio Tours weekend map showed a yarn store, Kiparoo Farm Studio, Bussard Road, Middletown, Maryland. Some in our party wanted to see it. Annie’s Kiparoo Farm sits in the valley between the Catoctin Mountains and South Mountain, west of Frederick. The big town is Middletown, population about 4,000. Pennsylvania Dutch people settled the valley in the 1700s and a lot of German names survive on the streets, headstones, and among the farmers. Annie has large, symmetrical curls in her chestnut-colored hair, worn in a throwback, 50s, even 40s style, medium length, practical, but still some care taken, time in curlers at home, or even at a salon. And as we got a sense of her, it grew more remarkable that she had time to curl her hair. Annie runs the farm and a yarn business. If she has a partner, that person made themselves scarce during the craft weekend open houses. This was her nightmare. For all the evidence I could see, Annie runs cattle, raises sheep, gets them shorn, spins yarn, makes dyes and dyes the wool, knits, and sells yarn and patterns. Sidelines, as if she needed more, include making soap and ice cream. “Oh, I’m a 4:15 girl,” she says. “Girl” somehow fits only because she uses it. She points out, not 4:15 to milk the cows, they aren’t ready that early. Annie is at least 60 and about 5’ 6”. But I’ll bet she’s as strong as anyone with that frame. Small as she is, it’s like Annie’s made of steel and leather straps. You know she can milk dozens of cows and then get all the other work started, even before she mentions milking. Annie ricocheted around the three-room shop and studio, answering questions, specifying knitting needle gauges, and commenting on patterns. And Annie is heart and head strong too. You wonder at her years of working her way along, a woman who was not going to do what women in her society are supposed to do. A woman who set out to do, and does, man’s work in addition to women’s. That Annie is not all steel showed through. She picked up a skein of royal purple yarn and looked at it, and then held it to her chest and closed her eyes. She about teared up remembering. It was a few weeks after Hilary Clinton’s concession speech. Annie, living deep in Trump territory, was with Her, and not afraid to tell anyone that. These days it seems like some kind of hell is going to hit us, superstorm or politics-inspired violence. Or economic meltdown. If those things happen, I’ll want the steel, the guts, the know-how: raise food, make what you need, hold off threats of every kind, and do it cheerful. If those things hit us, I’m with Annie.